Killer Characters: Celebrate your Independence! Summer is here! During June and July, we're having a Cozy Days of Summer Giveaway! There will be a winner every day. You could win a book or some swag! Leave a comment before midnight to be entered in that day's drawing. See details below! Because at midnight, the next drawing starts. I hear this all the time. You're free. You're an adult. You can do anything you want, people say. But can I really? I mean, sure, on a whim, I left my job as an advertising executive to run the Cookbook Nook and café in Crystal Cove. My aunt needed my help. How could I say no? I'm not a seasoned cook, but that's beside the point. I needed a jumpstart. I wasn't yet thirty when my husband died under mysterious circumstances. I was floundering in San Francisco. So I moved "home." I hadn't lived in Crystal Cove since before college, and yet moving back felt so right. My dad relies on me -- he's a widower, too. He and I have a touchy relationship, but we're repairing it. That takes work. It's not like I can up and leave any time I want if he needs me, right? And my friends rely on me, too. I've hired my best friend, Bailey, to help me in the shop. She's such a find! Her mind is like a steel trap. And then there's Katie, my other best friend, who is the chef at the Nook Café. Brilliant hire, if I do say so myself. I can't just leave them high and dry if I decided to run the rapids, or climb Mt. Everest, or go on a trip around the world, right? And then there's Rhett. He's yummy. If I go on adventures, don't I want to do them with someone I, um, like a lot? So how independent am I? Are you? Do you value your independence? 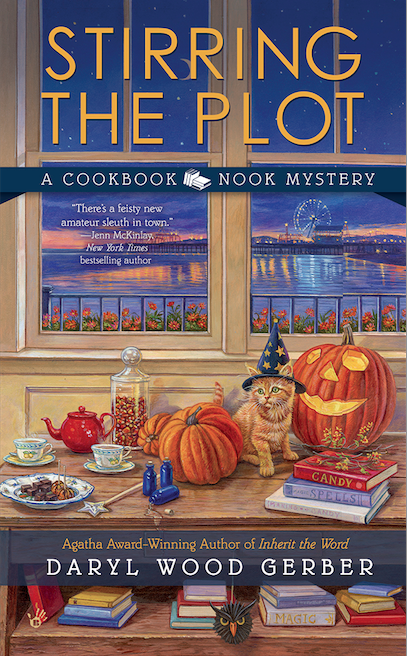 Win a copy of your choice of Cookbook Nook Mysteries or Cheese Shop Mysteries. One lucky person who leaves a comment here before midnight will win a signed copy. Good luck and be sure to leave an email address in your comment so I can contact you! No matter what name she uses, the books are all great. Hi, Kuzlin. Good to hear. Happy 4th! Happy Independence Day. I too love being independent. Finding all sorts of wonderful books to read. I'm not as independent as I'd like to be. Responsibilities weigh heavily on me too. But you do deserve a vacation and if the opportunity presents itself to go away for a couple weeks, your Dad, the store and your friends will survive. Ah, thanks, Dianne. That makes me feel good. Wishing you more independence, too. Happy Independence Day! I am, always have been, and always will be, for as long as I can, independent! Love my independance! Love both series! Happy Fourth of July! Being independent doesn't mean that you don't need others. Love your author. I agree, with parents on one side and kids on the other doesn't leave much time for adventure. Maybe I'll break out in my seventies and finally do something crazy! Susie, LOL! Break out now. You can, even if for a few hours. You deserve a treat. My husband died almost five years ago and, for the first time in my life, I live alone. I miss my husband, but I love the independence of living by myself. Thanks for the chance to win! Debra, I'm sorry for your loss, but I'm glad you are moving on. i like adventure but it is more fun with my family. i do not think i would enjoy so much "independence"
I value independence, and those who insure we keep it, everyday! I am probably too independent. Happy Fourth of July! Thank you to those who keep us safe. Canemom...I bet you're not "too" :) And yes, thanks to those who keep us safe. May they all be taken care of, as well. I am extraordinarily independent. I always have been. I value my alone time, and most of my time is alone time. It works for me! Kat, that shows good signs of confidence. Cyn, I love going to movies by myself!!! I feel like I'm at a private screening. I like my independence, but there are times you need someone else too. Happy Fourth! Kim, Yes, I understand that! Elaine, 40! Wow. That's fabulous. I like your closing independence lines. Tee-hee! Petite, how lovely to have such fun responsibilities, though. I hope they treasure you. Traveler, that will be my key word for the day: moderation. Thanks! I value independence but find the responsibilities that go with it to be great. I am one of the most independent people I know. It was not always so, but at 66 yrs of age I am financially secure and do as I please. I am conservative, religious, and proud to be a Georgia southerner. I'm pretty independent, getting frustrated when I need to ask for help. Happy our nation is independent and our reading materials aren't restricted. 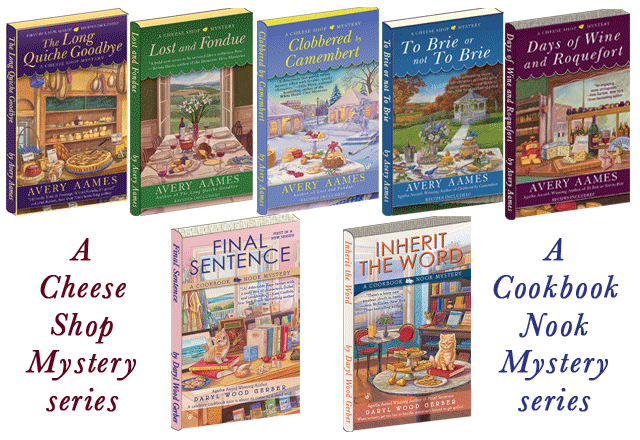 Couldn't live without my mysteries! Happy 4th of July Daryl! I consider myself to be very self sufficient and independent when I need to be. I think both of these things are very important qualities for all women to have. My uncles's served om WWII, and my father and step father both served. My three older brothers all served in Nam (Army, Navy, Marines), so yes We as a family value our Independence. I bet you do! Thank you to all of them. Happy 4th, love your stories! Ready to Read! Love the giveaways! Never have too many books!! Happy July 4th! Always time to read a good book! I guess I'm fairly independent, I have a husband and kids that I have to do some bending once in awhile. Happy 4th! Bookiekat, yes, sometimes obligations make us feel that we're not "free," but you certainly sound independent! Have a safe and sparktacular day! Yes, I am independent. Happy July 4th! My personality leans toward independent, but as I'm married, I suppose I'm somewhat dependent at this point. However, I still make my own choices and that's what matters. I think you can be "independent" with company--especially if your going on an adventure. Yes, I am independent -- I can and am allowed to make my own decisions. And I am free to do what I want. However, both those things, being free and independent, carries with them some responsibilities and conditions. To be truly either, one must think of others, listen to others, and take good advice from others, drawing on others' wisdom. Then the choices and decisions one makes will not hurt others or oneself. That means, if one has a family to take care of, one will do so without resentment. If one has responsibilities to job, friends, family, organizations, then those are fulfilled. Love both of your series and hope you have a fabulous 4th! I lived alone for enough of my life and I do value independence. Since moving in to help out my parents 13 years ago when they both turned 80, I don't have as much as I would like to have, but I knew that would happen at some point. I still had a great deal of freedom until about 4 years ago when my dad had some strokes and I had to start doing just about everything around the house (my mother has very bad arthritis in her knees and hands and can't stand up long or walk far, even with her walker). My dad died three years ago (at the age of 90), and my mother and he had rarely been apart for more than 2 or 3 days at the most in 63 years of marriage. So, although I do still work a part-time job that can involve up to 12 hours a day two or three days a week, I am pretty tied down to helping her out and trying to keep her as active as possible when I'm not at my job. But I do love to read, so I am happy with every chance I get to do that, independently! Hi, everyone. I'm not going to respond to everyone today (I'll respond to a few) because it's the 4th and I have family, but I will pick someone at midnight. So look for the winner tomorrow on the site! I have my family to take care of but I do value my independence. Happy July 4th!!! Always think especially of my mom today. This was her birthday and she was one feisty independent firecracker of a woman. I'm very independent. My mother made sure of it! My family is spread out, too. I know how you feel. Thank heavens for Face Time and Skype. I'm very stubbornly independent and I do value that personality trait in myself & others! The older you get the more you value your independence. Everyone enjoy the 4th of July. Independance has it's drawbacks. I kind of like having my husband to depend on. Happy 4th to all. I'm very independent. But I'm not afraid to admit when I can't do something and need help. Happy 4th of July! I am independant but am not afraid to ask for help when needed. I'm very independent and hate asking for help. Thanks for the chance to win your book, love all your series! Yes I do value independence . I have learn not to take anything for granted . Happy Independence Day! I value my independence. I would like to think I'm independent. I like doing things myself rather than asking for help. Sounds like a fun series!!! I think I'm going to have to check this one out whether I win out not!!! And I believe I am fairly independent to a point. But I am not going to just go run off without at least bringing my fiance into the loop. Just received Final Sentence in a book swap. Will be reading it soon. Sounds like a goodie! Thanks for a chance to win. HAPPY INDEPENDENCE DAY ALL! ooops! To answer your question...I'm as independent as I'd like to be. I enjoy the security of having my man in my life to come to my rescue once-in-a-while...it makes life easier and is oh so good for his ego! Keepmelaffn - LOL! Very cute. I've been accused of being too independent but that's who I am. Love to read and the Cook book series are good. Thanks so much! I'm too independent, too, but c'est la vie! I used to be independent, but as a stay at home mom with 2 kids, I'm not really anymore. I depend on my boyfriend to make money for our family. I love my independence and living alone. I believe that growth comes from being independent and with it a lot of joy in exploring life on your own that you miss when your in a relationship. I think living alone is the best and I would never change. I adore both these series. I'm very independent for work matters..... However, at home, I can be very dependent. For many years I was totally independent. I was Mom and Dad. I had to be strong and be there one hundred per cent. I have been there for a lot of people for a long time. I am taking a break right now. I am glad I live in a country where I can make decisions and choices. I am glad you can write the way you choose. Independence or not, I think it's an ever changing process. I am somewhat independent, but I depend on my husband to drive when we're going somewhere populous. I don't really like to drive in big cities. I'm kind of a wimp! mgb1955 at gmail dot com. 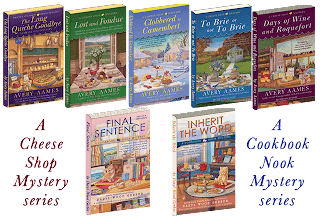 I love the cozy books!